Relieve Allergies with Cold Stone Massages! Cold Stone Massages are just one of the several different massage therapies that Elements Massage Whitefish Bay offers. While cold stone massages have a long list of wellness and health benefits, we are specifically revisiting them because it is currently one of the most irritating seasons…allergy season. For anyone who has allergies, you know that the season is in full swing. Luckily, one of the biggest benefits cold stone massage can give is allergy symptom relief. While there are many different kinds of allergies and people experience them differently, they can leave a lot of people feeling horrible. 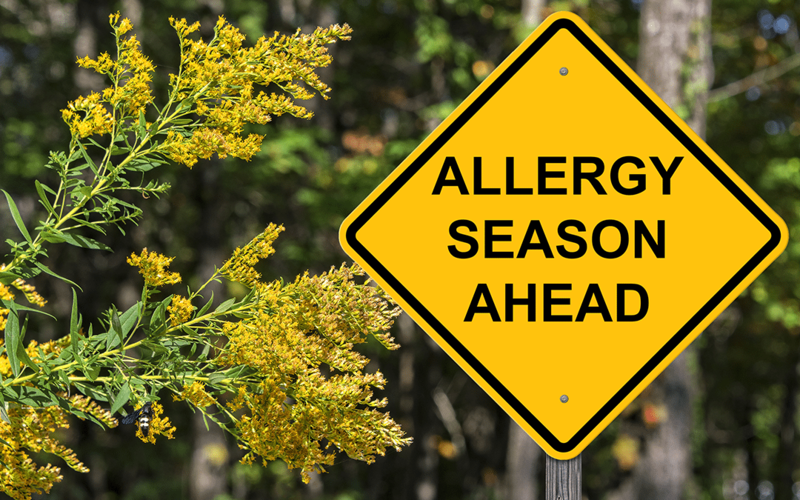 You may even be on some form of medication or have a specific treatment for your allergies; but the high allergy seasons can still have negative effects on your body. Congested head and nose, heavy head, sinus headaches, lots of sneezing, itching, and more can take over someone’s day, week, or month. However, cold stone massages is a proven allergy relief technique that we stand behind 100%. Aside from the other relaxing benefits of massage, therapists can work through specific sinus problems and trigger points that help relieve pressure and congestion, one of the most common allergy symptoms. Using cold stones on the face and back of the head and neck help reduce overall inflammation as well, which causes instant relief. Additionally, cold stone massages can overall boost immunity which can leave your allergies feeling less intense. Using massage therapy as a relief of allergy symptoms is also perfect for weening off of your medications or treatments if you are looking for a more natural way to treat your allergies. The cold stone therapy will aid in overall congestion relief in the head, nose, and chest; leaving you feeling better than before you were even diagnosed with allergies. Elements Massage in Whitefish Bay is lucky enough to have six massage therapists who are specifically trained and specialize in cold stone massage therapy: PJ, Barb, Sharissa, Donna, Amanda, and Mario are here to give you the best cold stone massage session you have ever experienced. Whether you are looking to use cold stone massages for allergy, sinus, or migraine relief, or just an overall relaxing session, you will successfully find one here. « Amanda is excellent! She is very skilled. I always come away from the massage feeling like a million dollars » S.B. « I’ve been getting monthly massages with Amanda for a few years now and she is fantastic. Everyone at elements is super friendly and it’s a nice, relaxing atmosphere ». N.K. « I had the best massage every with Barb. Definite recommendation!» V.R. « I really enjoyed my massage with Donna. It was deeply relaxing. » K.W. « I had an enjoyable first massage experience with Mario. It reenergized me and gave my body a sense of relief that I haven’t had in a long time. » G.J. « PJ was very good and hit all the right areas for an athletic guy like myself and made it a very relaxing, yet great time while taking care of me » M.S. « So welcoming! The best massage ever offered with great skill and sensitivity by Sharissa » M.T. Make sure to schedule your allergy relief session! Come experience the amazing benefits for yourself by calling our studio during business hours or book online any hour of the day. Let one of our talented therapists give you the allergy symptom relief you need this season.